We are a boutique operation creating cookies that are small, creative and simply delicious. We look to European cafes and bakeries for inspiration; our goal is to provide cookies that are satisfying and not overly sweet or overwhelming in size. Our ideal treat is one that bursts with flavor and satiates the craving for something on the sweet side. 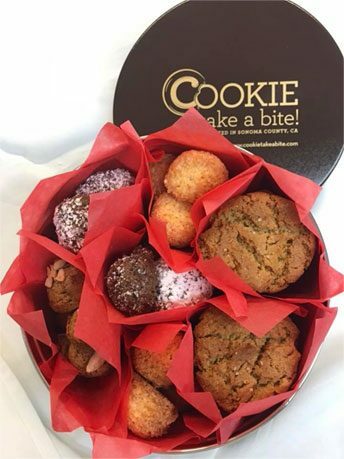 Whether a refreshing citrus cookie at the end of dinner or a chocolate cookie with a glass a wine, we hope you find our cookies an inspiring and tasty indulgence! 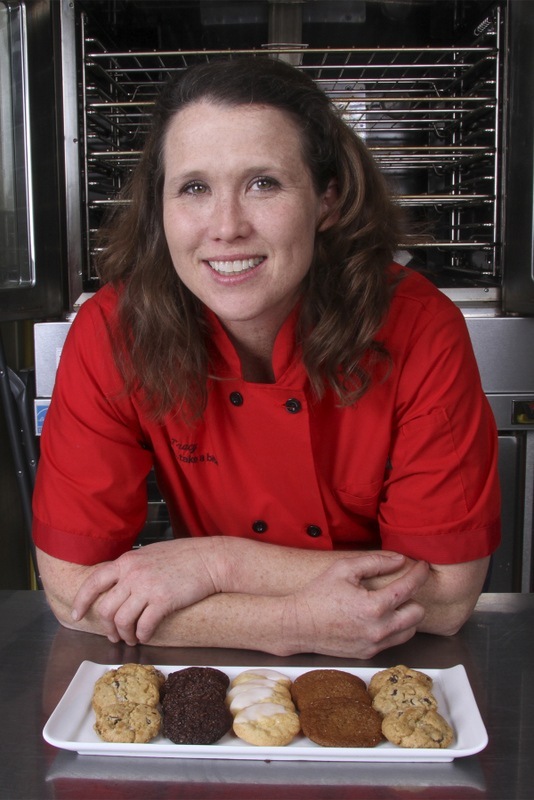 The owner of COOKIE…take a bite!, Tracy Mattson, is a professionally trained pastry chef with over ten years of experience working in fine dining restaurants. She trained at L’Academie de Cuisine in Washington, DC and started her career working in restaurants on the East Coast before settling in Sonoma County, California. Her resume includes working as a Pastry Chef for esteemed chefs such as James Beard nominated Peter Pastan of Washington, DC and Doug Keene of 2 star Michelin-rated Cyrus in Healdsburg, CA. To hone her craft and learn from the amazing talent in the pastry world, she has staged around the U.S. and abroad including Joël Robuchon in Las Vegas, NV, Le Bernardin in New York City, NY and Café Diglas, Vienna, Austria. We believed we could add something to our community by baking fresh, flavorful and delicious cookies. We offer exceptional personal service to make sure every cookie experience is the best. Whether it is a sumptuous and decadent cookie bar for your wedding or a tasteful catering tray for your office, COOKIE…take a bite! will make the occasion a wonderful and tasty event to remember. We bake all our cookies fresh to order so we do not currently have a retail counter in our kitchen. We ask for 24 hour notice so we can bake exactly what you need and have It ready when you want it! Local orders can be picked up at our kitchen in the Larkfield Shopping Center. Always feel free to stop in and see us in action and pick up a current flavor sheet!